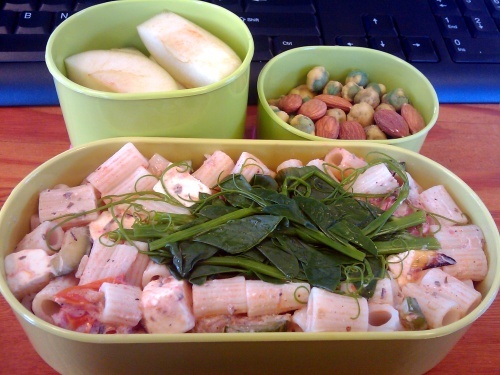 pasta Archives - Wots For Lunch? 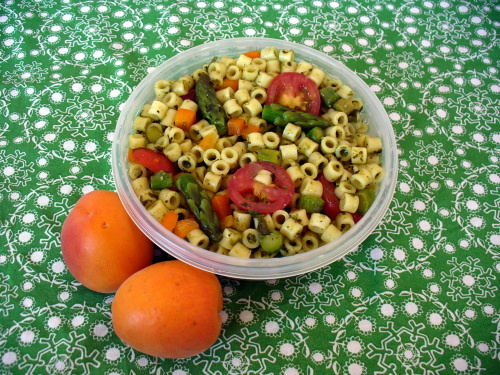 Pasta salad is one of those dishes that is perfect for packed lunches. It’s meant to be eaten chilled so you can prepare it in the evening and stick it in the fridge. Then in the morning pop it into one of those lunch cooler bags with a little ice brick and it’ll stay perfectly cool until lunchtime. 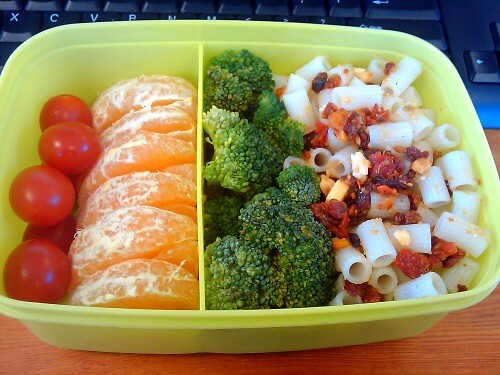 A great summertime lunch that is also a wonderful vehicle for a few of your daily fruit and veg servings. 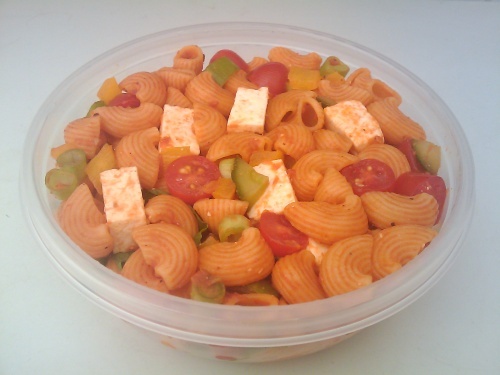 Pasta salad with mini pipe rigate, yellow peppers, cucumber, spring onions, baby tomatoes and feta cheese all tossed in a light tomato sauce. I was recently asked to write a guest post by the lovely Lady Raven for her blog Add to Taste and it was published this past Friday. 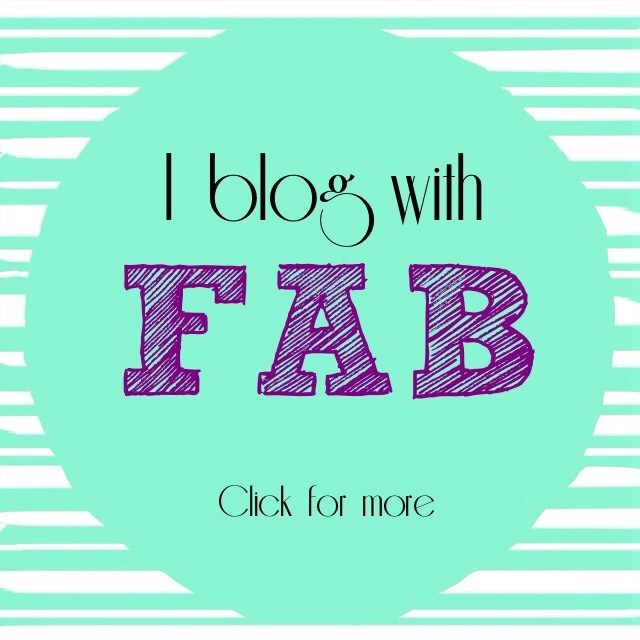 My very first guest post! Be sure to check it out and then come back to see what is on the menu today. 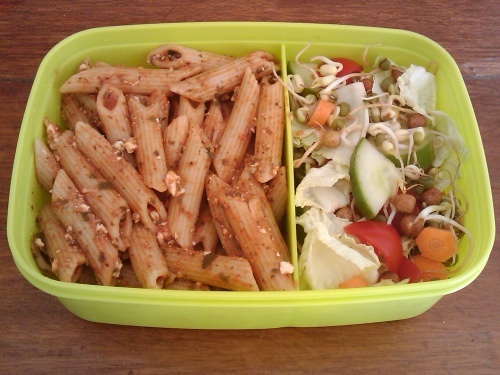 I assimilated this pasta dish into my repertoire after reading the recipe in the Slow Food Cape Town CSA newsletter. It’s one of my favourite weekday meals to make, all you need is three ingredients and about fifteen minutes and supper is ready. Just perfect. cucumber, baby tomato and baby corn skewers. 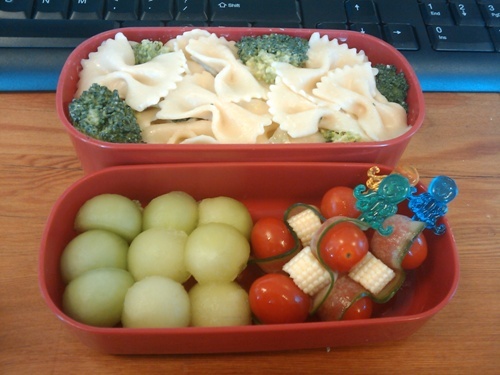 Did you notice the little octopus food picks in my lunch box? Aren’t they cute? 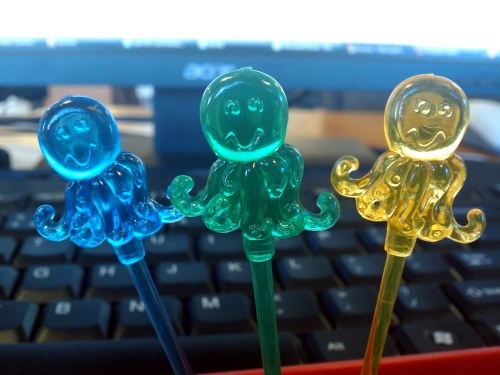 Here’s a close-up of the little smiling faces. 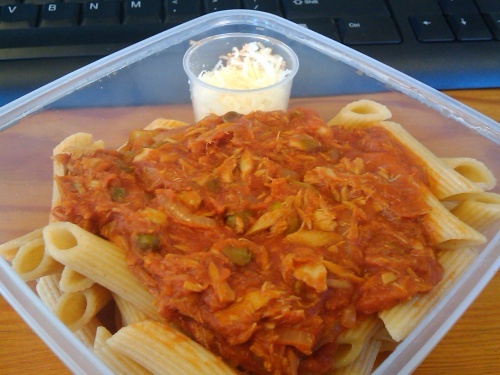 This pasta sauce is a great pantry staple creation: a box of passata, a tin of tuna and a handful of salty capers cooked together for a few minutes and then spooned over pasta. You can completely change the flavour by adding (think chilli, olives and anchovies) or subtracting an ingredient or two. some grated Parmesan style cheese. a salad with baby cabbage leaves, mixed sprouts, cucumber, tomato and carrot.